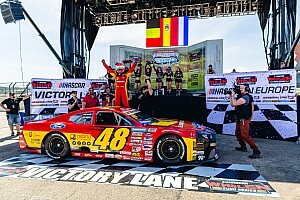 It was a busy weekend for the NASCAR Touring divisions with the K&N Pro Series East making its annual appearance at Bristol Motor Speedway while the Whelen Modified Tour visited Thompson Speedway Motorsports Park for the annual Icebreaker. 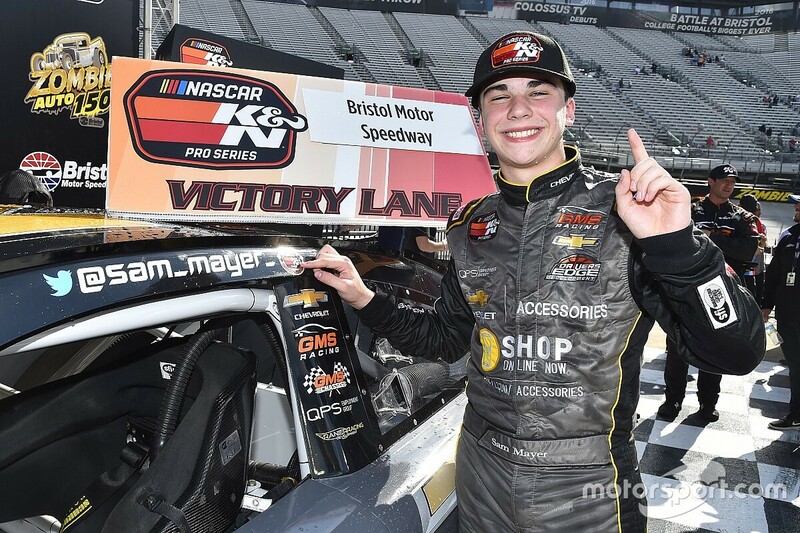 Sam Mayer is relatively a new face in the NASCAR K&N Pro Series having only made seven combined started before he walked in the fast high-banked half-mile track last Thursday. 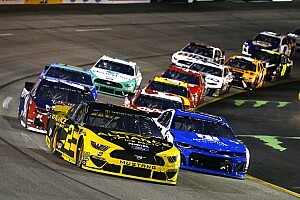 The 15 year-old went to sweep the weekend after being fastest in practice, setting a new record in qualifying for the pole and leading all but three laps of the 150-lap event to dominate in scoring his first NASCAR win in the division. After a first-lap accident took out contenders Ruben Garcia Jr. and Riley Herbst, Mayer was able to maintain a comfortable lead over Chase Cabre who finished second. Although the line he thought would work for him in the race didn’t work out, it didn’t seem to matter in the No. 21 GMS Racing prepared Chevrolet. "Thunder Valley is one of the coolest places on the planet,” said Mayer after the win. “Coming out here and winning like this means a lot. Everyone at GMS, Mardy (Lindley, crew chief) and everyone on the crew, Chevrolet, Drivers Edge and everyone who supports me - it just means so much. Winning at Bristol is amazing! “The race played out completely different than the way I thought.I thought it was going to be pretty solid on the top. But the top wasn’t there at all, it was pretty much all on the bottom. Brandon McReynolds followed Cabre in third with Drew Dollar and Spencer Davis rounded out the top five. After a rough start to the season with two races down south, the defending Whelen Modified Tour champion got things back on track Sunday at Thompson Speedway Motorsports Park. After a pit stop penalty relegated Doug Coby - who had dominated the weekend and the race up to that point - to the rear of the field in the final third of the race, Bonsignore took advantage of the opportunity. 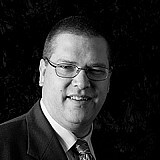 The Holtsville, New York native also made history becoming the first driver to win five consecutive races at the historic Connecticut track. Bonsignore was able to hold off Ron Silk in a green-white-checkered finish to score his first win of the season with Eric Goodale third and Patrick Emerling fourth. 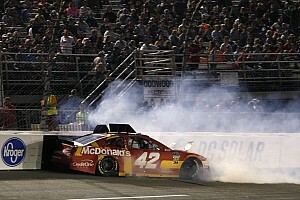 Coby who was penalized during a pit stop for running over an air hose after leading the first 107 laps of the race, recovered from his penalty to finish fifth.